1. Cut/score card base to a finished size of 4¼˝ x 5½˝ from black cardstock. 1. 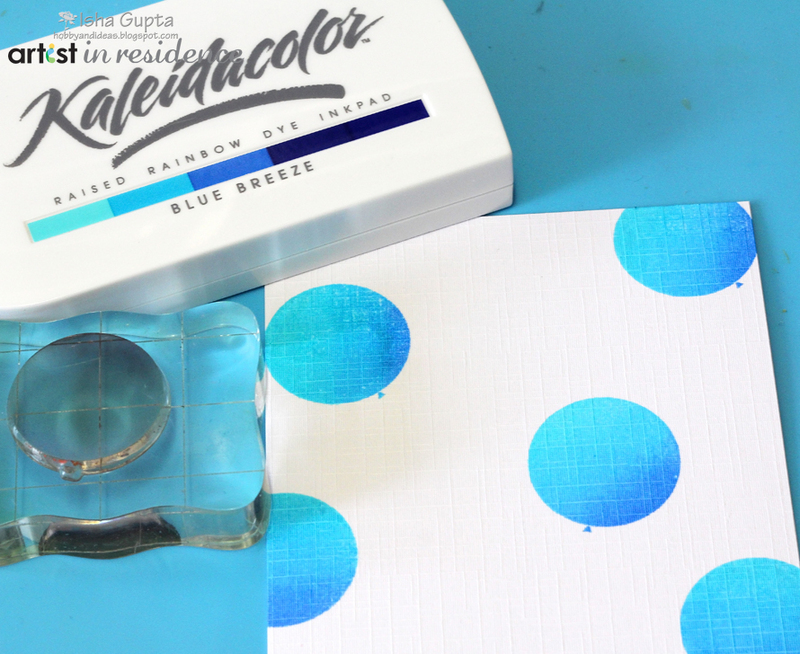 Stamp the balloon image onto a white mat layer using Kaleidacolor ink in Blue Breeze. 2. 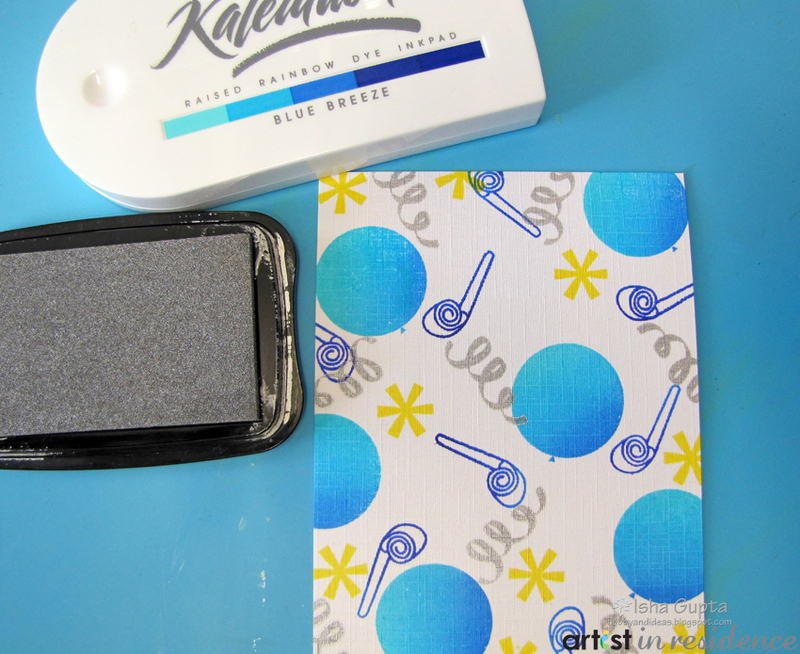 Stamp the other images using various ink colors. 3. 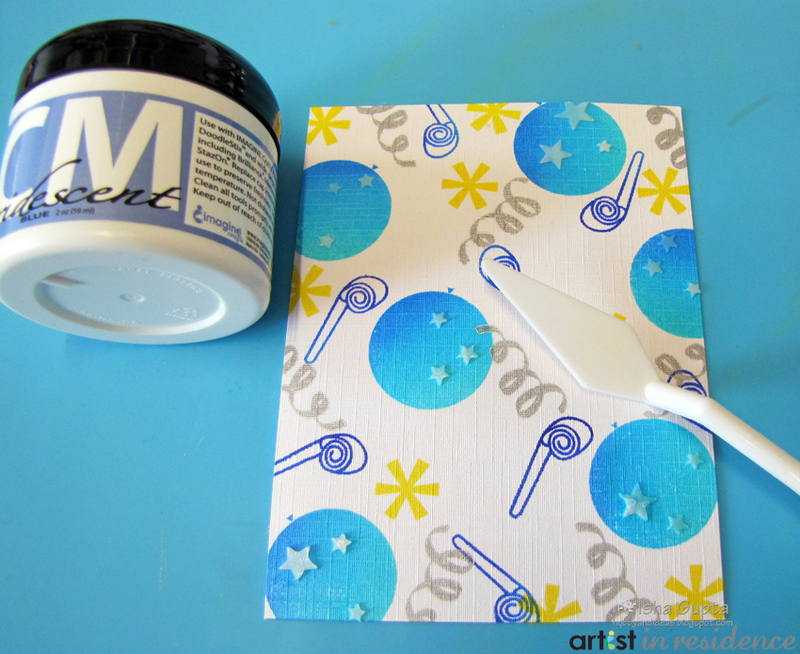 Use the Confetti stencil and apply Creative Medium iridescent in Blue to the balloons. Let dry. 4. 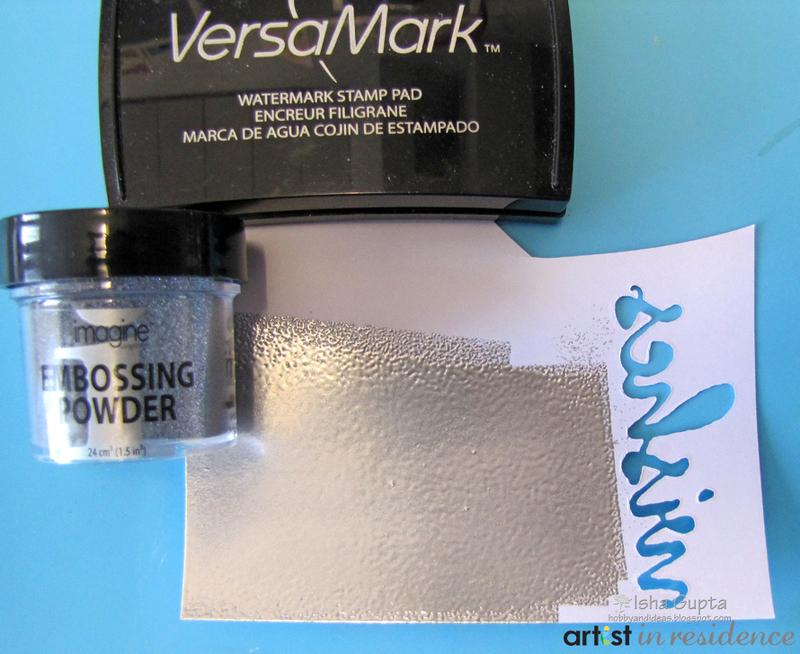 Apply VersaMark ink to a piece of scrap paper, put silver embossing powder over it and heat emboss. 5. 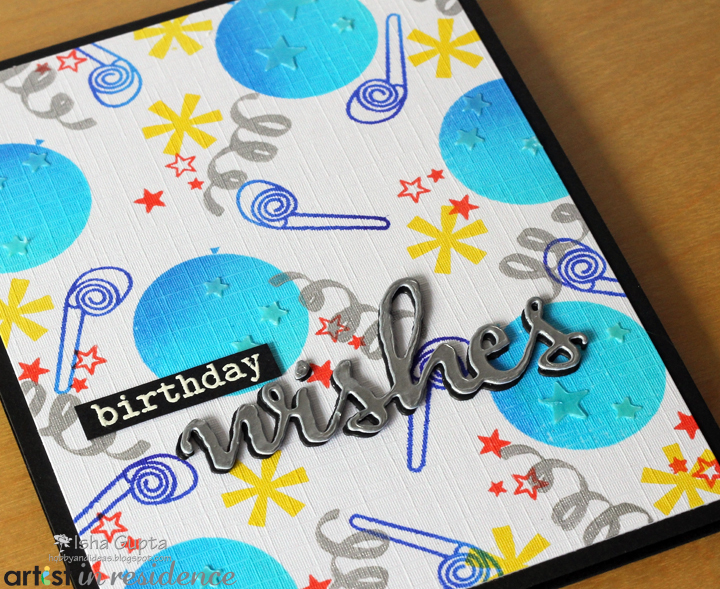 Die-cut the word "Wishes" using this embossed scrap piece. 6. 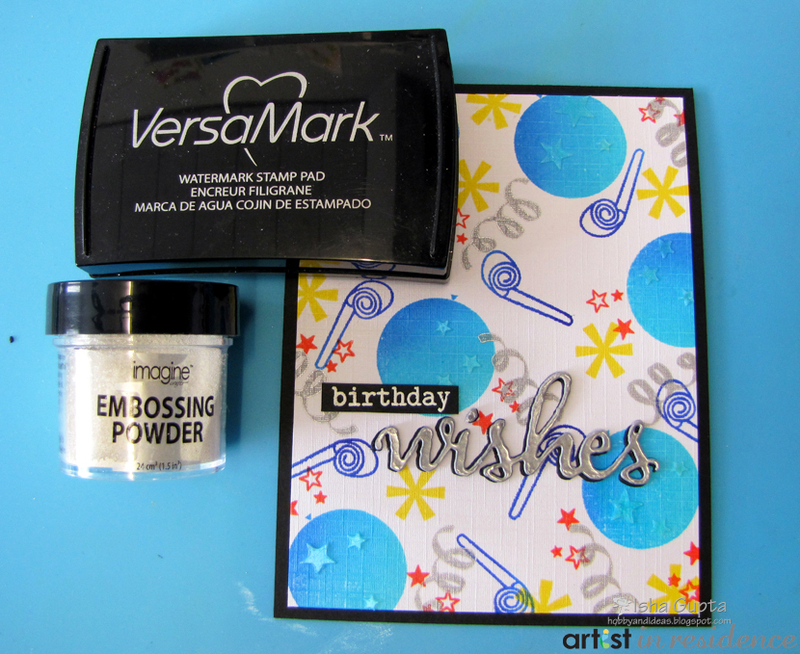 Stamp and emboss the word "birthday" using white embossing powder. 7. Die.cut 2 more word "wishes" from black cardstock. Stack them together.